Just two blocks from waterfront in Coal Harbour, Cardero is a modern obelisk acknowledging its role as one enters Downtown Vancouver from the North Shore on West Georgia. 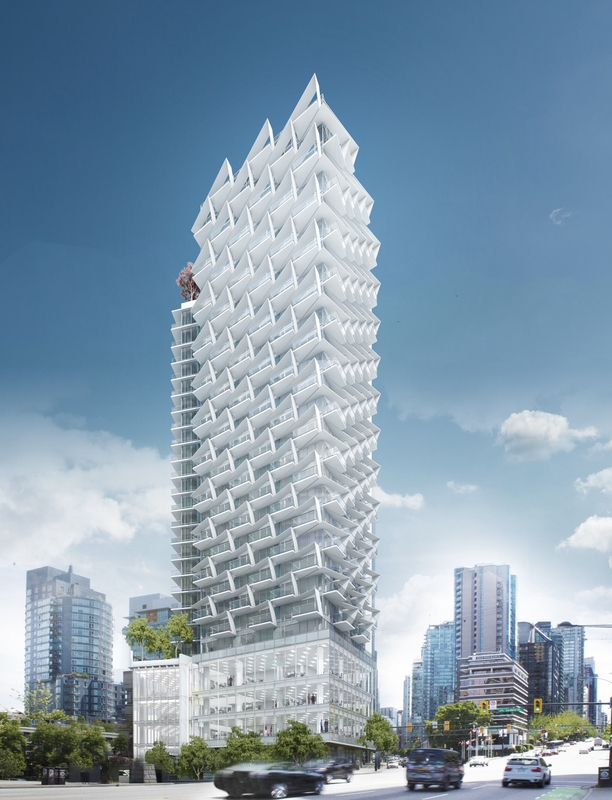 The building’s distinctive origami-like screens were inspired by its nautical surroundings – seagulls and seaplanes in Coal Harbour and hand gliders, which can be seen catapulting off Grouse Mountain in the distance. Characterized by deeply angled V-shapes formed in white steel, the resulting dual form provides shading and privacy for residents while reducing solar heat gain. The building has been carefully sculpted to acknowledge the transition from the West End to the downtown core. The development comprises a slender 26-storey, mixed-use residential, office and retail tower that anchors the corner of West Georgia and Cardero streets. 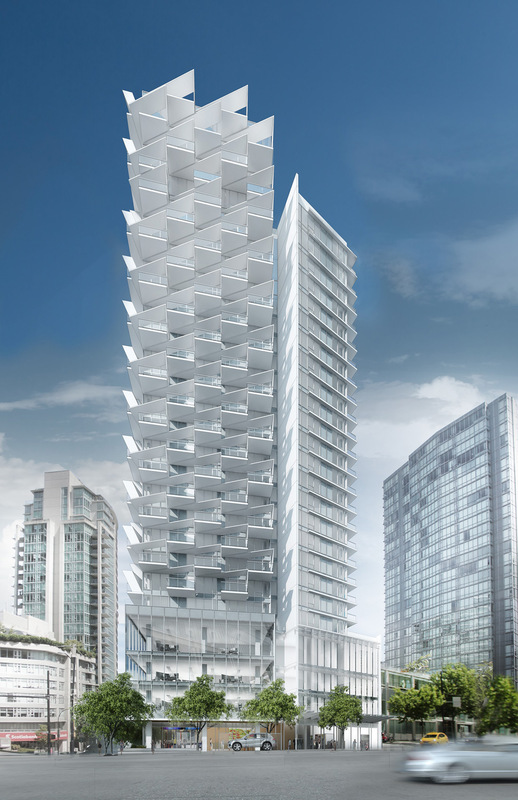 Along Pender Street, the scale of the tower drops to 21-storeys to respond to the character of the neighbouring towers. 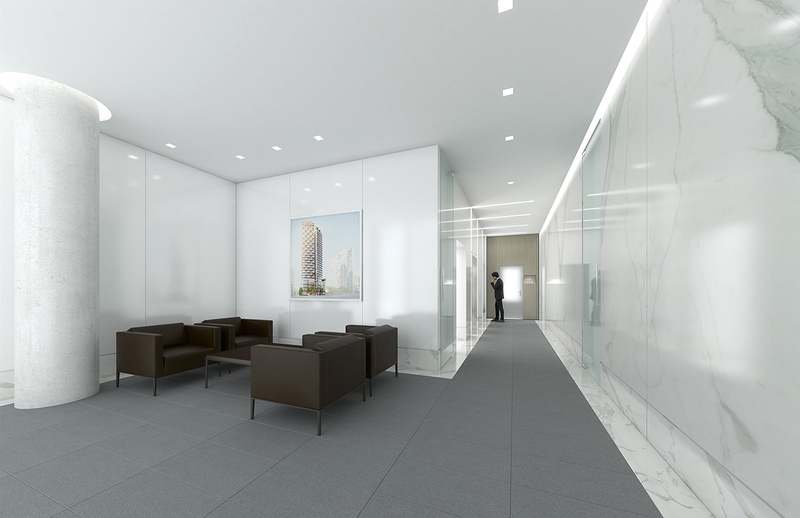 The tower sits atop a four-storey podium with at-grade retail and 45,000 ft2 of office space above. Designed to LEED-Gold standards, the project will also connect to a future neighbourhood district energy network.